A new exhibit at a Houston gallery celebrates a four-decade friendship. 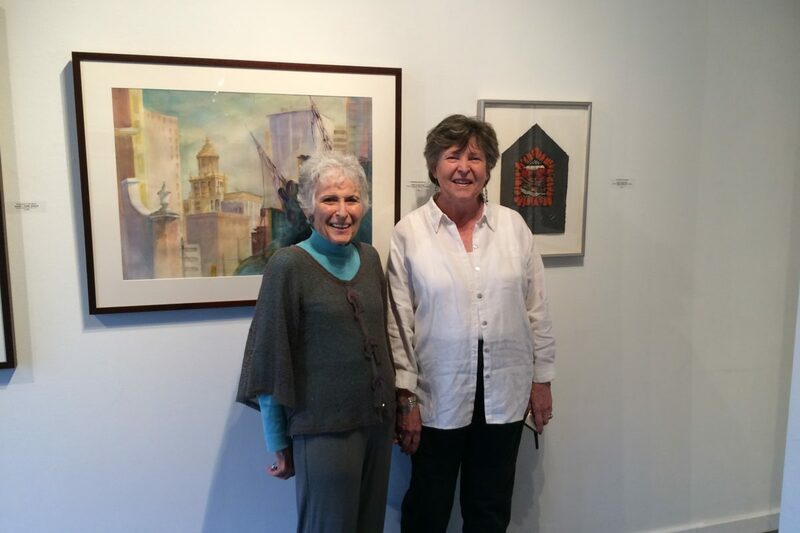 Artists Margaret Scott Bock (left) and Ann Bellinger Hartley have been friends for forty years. Their new exhibit at Archway Gallery coincides with its forty-year anniversary. They’ve been friends for 40 years, but this art exhibit is a first for two Houston artists. Hartley, who turns 80 in July, became acquainted with longtime friend Margaret Scott Bock through a mutual interest in art back in the 1970s. Bock turned 90 years old earlier this month with no plans of slowing down. The watercolorist says creating art is what keeps her young. 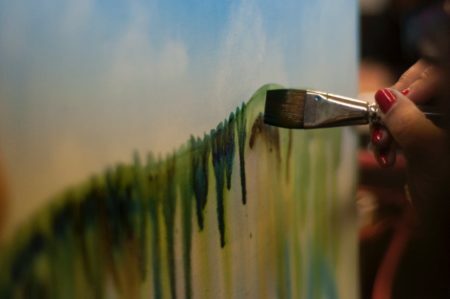 “I can’t imagine not painting the rest of my life,” she says, adding that she’s even turned some of her grandchildren on to art. Their exhibit corresponds with Archway’s 40th anniversary as Houston’s oldest artist-run gallery. Hartley says they’ve watched the city’s art scene evolve dramatically over the decades. Bock and Hartley’s exhibit, Juxtaposition: Comparison and Contrast is on view at through June 2nd.